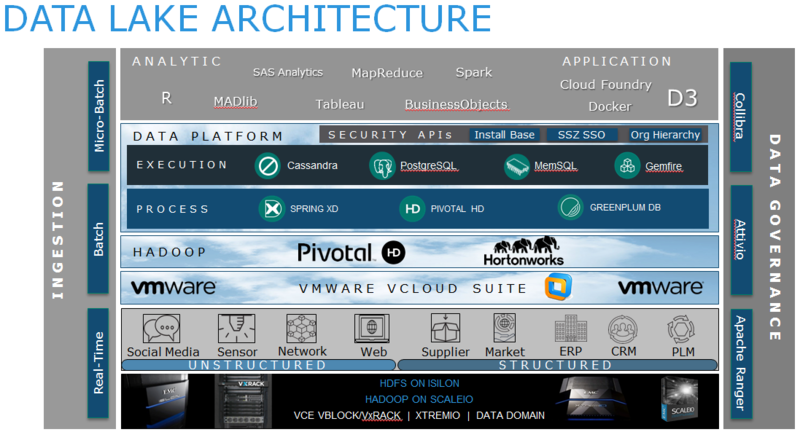 Today at EMC, we are taking a huge step forward in modernizing service and support for today’s modern data center. We are excited to announce MyService360, a personalized online service dashboard available to all of our customers. Customers are demanding more proactive, predictive, and solutions-oriented experiences, and EMC has redoubled its efforts on capabilities that will meet that demand. Health and Risk Scoring – Displays proactive and predictive system health indicators to identify areas that may be at risk, giving IT ample time to prioritize actions and react accordingly. Code Level Analysis – Analyzes the percentage of the global install base that is up to code, providing the ability to drill down into specific systems to determine what systems are due for code upgrades. Actionable Service Insights – Allows EMC customers to review IT service activities across their enterprise with the ability to dive into specific sites to understand what needs attention and the type of action required. Connectivity Status – Displays what percentage of the install base is remotely connected to EMC Customer Service so customers can take action to get remaining systems connected. Incident Management – Taps into proactive data to identify analytical trends on service incidents. MyService360 simplifies the modern data center experience by providing a central location for service-centric data, via a personalized online dashboard that enables customers to make well-informed IT decisions. Customers don’t want to spend time aggregating service data from many different places. They told us that it is a ‘real pain’ to collect data from various locations. Leveraging EMC’s secure Data Lake, MyService360 gives customers a one-stop-shop for all of their EMC service-related activities. Check out the video below to learn more about MyService360’s ability to simplify the Modern Data Center experience! EMC Customer Service is already known for delivering world-class experiences through our people, our processes, and our technology. MyService360 is simply building on that legacy of innovation and customer service excellence to address the needs of today’s modern data centers. Want to learn more? Read about MyService360 in this Service Overview. And watch the tutorial video here. 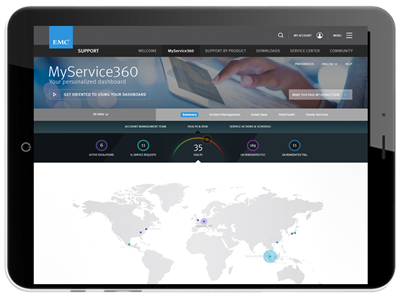 Learn more about how MyService360 fits into the Modern Customer Service Experience it by checking out the EMC Customer Service homepage, follow @EMCSupport on Twitter, or start exploring MyService360 today – for free!